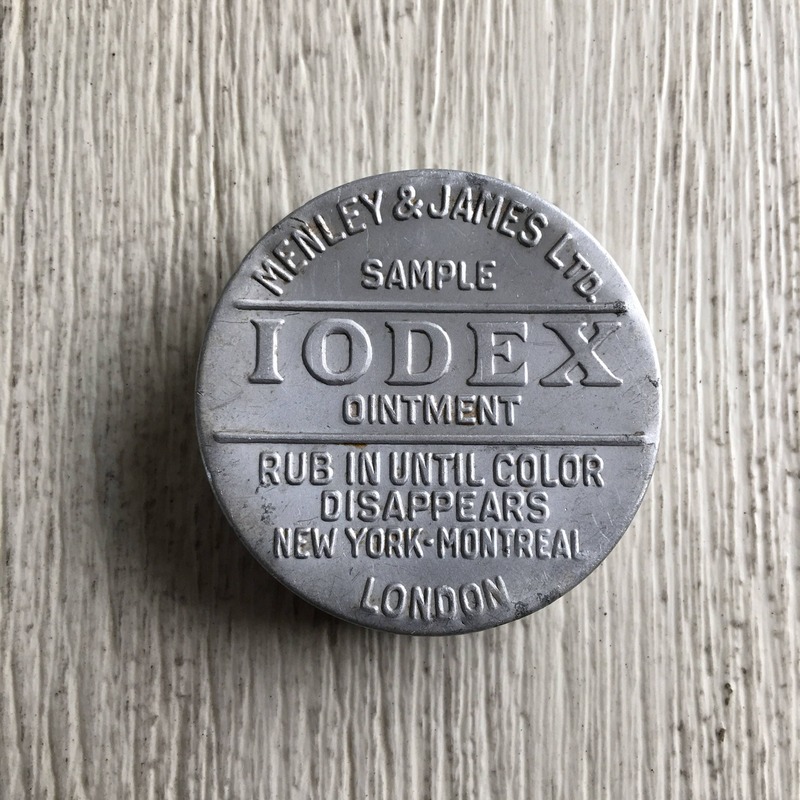 Vintage medicine sample tin from Menley & James Ltd, London. 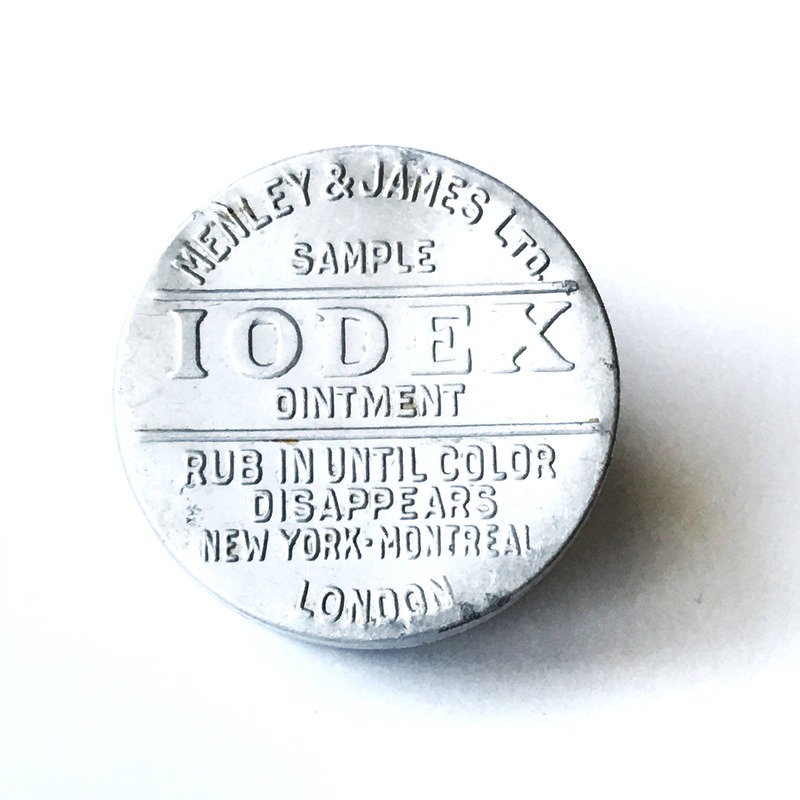 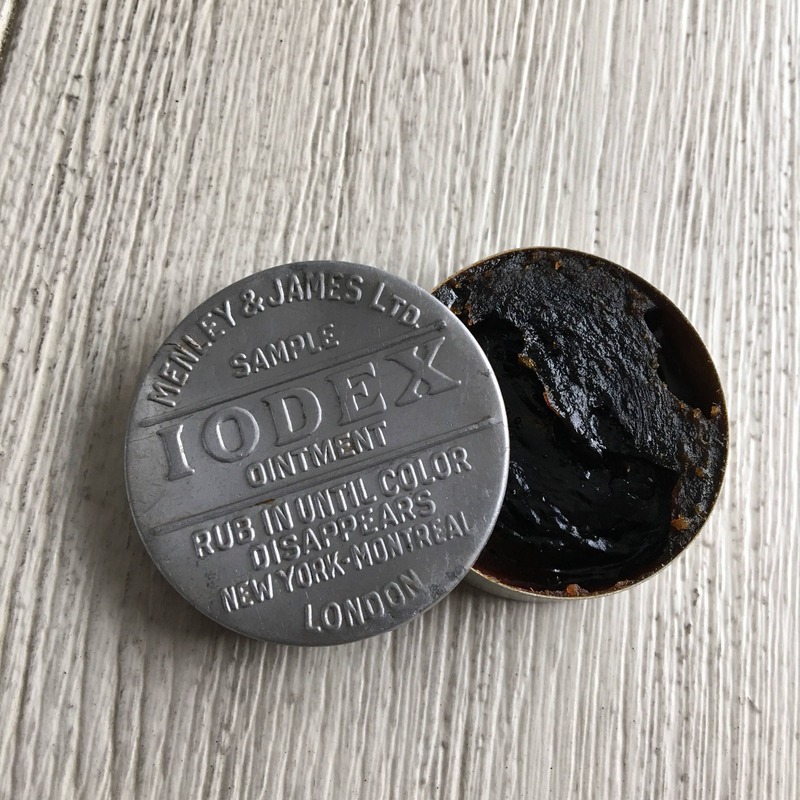 Embossed aluminum: Iodex Ointment, also known as "Black Salve." 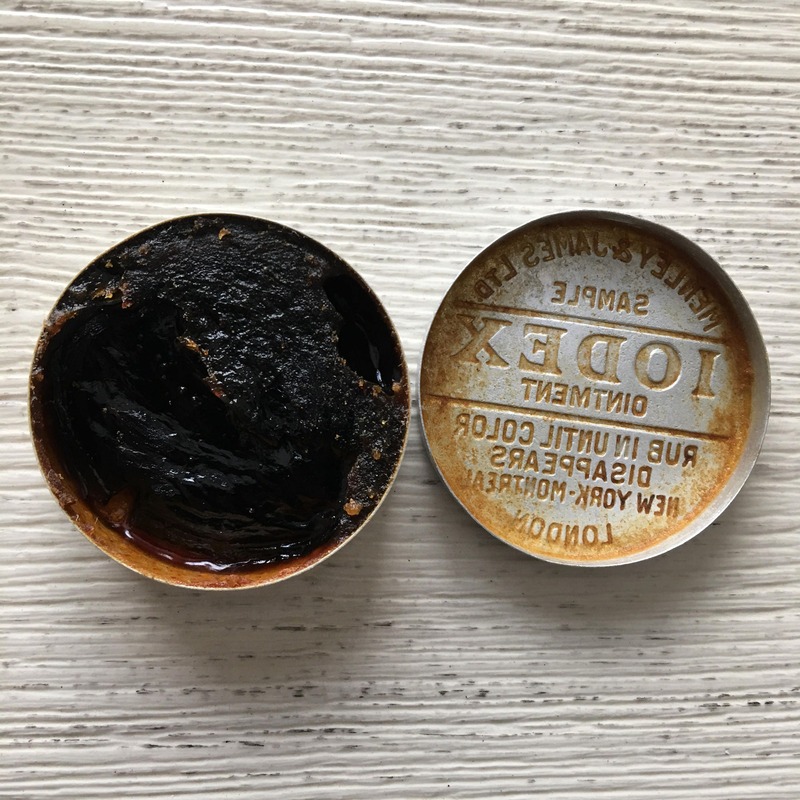 Some contents still included, but do not use! 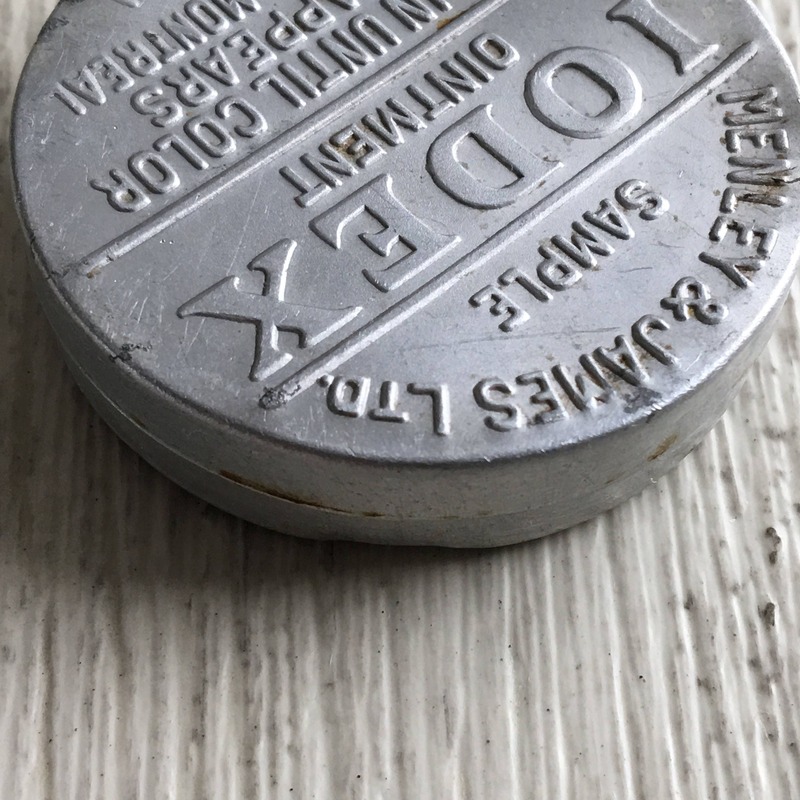 Circa 1920s, approx. 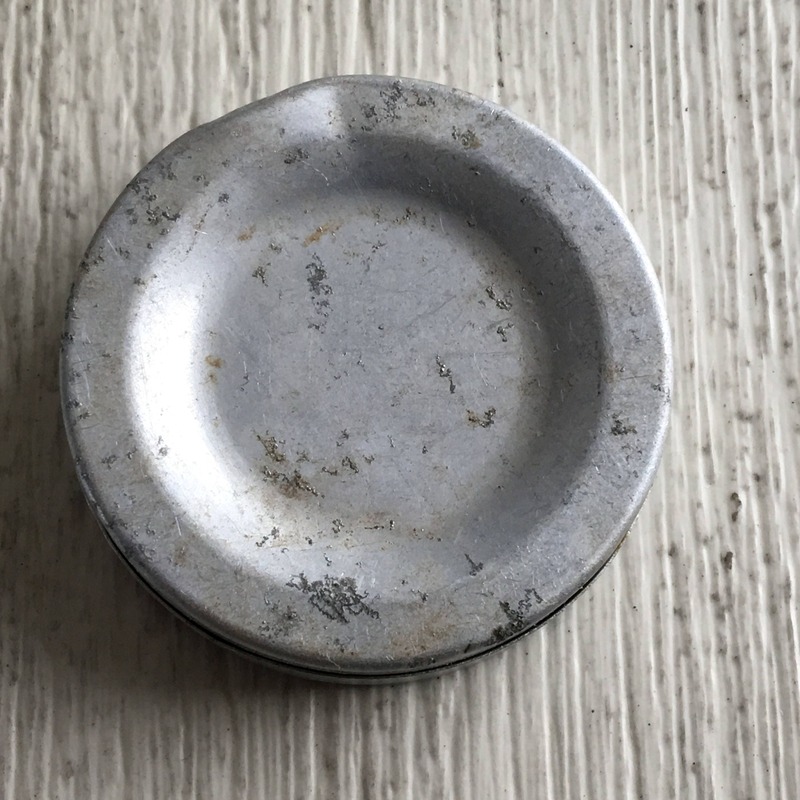 1 3/4" in diameter, good vintage condition with some wear, small dents and areas of discoloration. 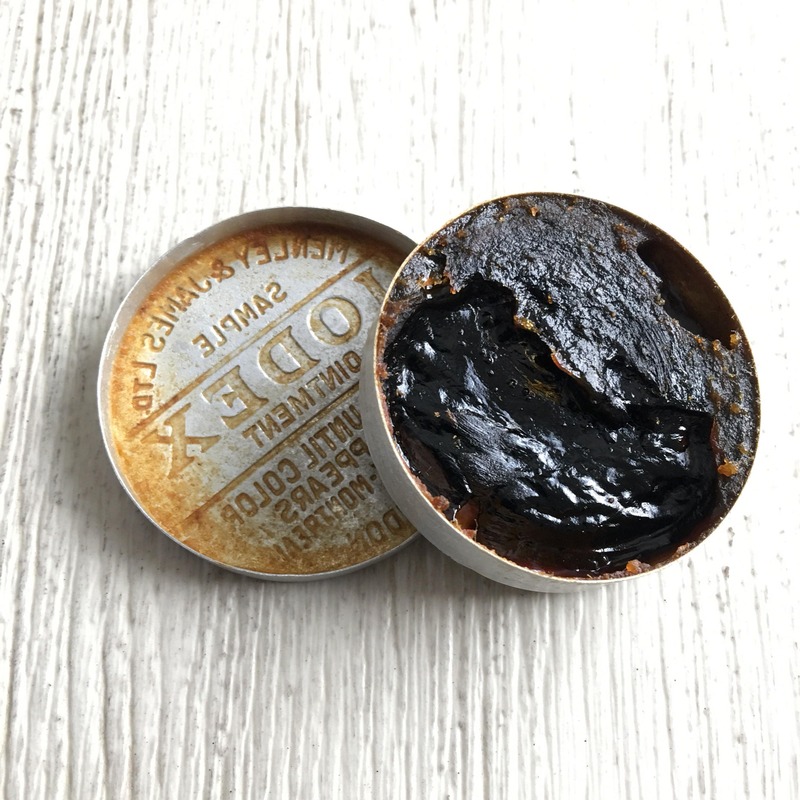 Perfect for any medical or apothecary collection!